Our commitment to the environment to "do no harm" is one of our main guiding principles. As we get ready for Earth Day celebrations this weekend, we're proud to share details on our efforts to ensure our business and operations have as little impact as possible on this generation and those to come. Our clients vote with their forks every time they eat with us. It all starts with the source - the provenance - of our ingredients. The responsibility to future generations begins with ensuring that our soils are prospering not depleting. Mineral and nutrient rich foods - both plants and animals - all start at this very basic level. Remember, we are not only what we eat, but what our food eats. Our chefs choose to work with farmers and purveyors to source organic or beyond-organic produce which ensures our ingredients are super fresh and nutritious. We buy local with Hudson Valley Harvest, Local Bushel, Lancaster Farm Fresh Cooperative, and source sustainable seafood from Sea to Table. Minimizing excess food waste has been built into our operations since day one with our advanced order deadline. Other restaurants order and prep foods based on estimates. As a delivery-only restaurant and meal delivery company, we have a 72 hour deadline so that our chefs order for and prepare only the exact number of orders we receive. From our clients perspective, they do have to plan in advance for their meals during their week. But avoiding on-demand urges and cravings means the impact to the environment, and their waistline, is reduced. No more ordering Seamless or grabbing the first sweet treat you see. Our clients eat stress-free knowing their Provenance meals are not only healthy for their body and the planet, but that they will be waiting for them when they're hungry. In addition, we have four words that rule our packaging decisions -- Reduce, Reuse, Compost, Recycle. Our kitchen composts all food scraps and we recycle all paper or plastic goods. We encourage our clients to return their delivery totes and ice packs to our couriers at each delivery or reuse them. The totes are great for picnics or bringing food on-the-go. We've also chosen to use recyclable and compostable packaging for our meals. Although the price point is higher, it's the bottom line for the environment and signals to our suppliers to continue innovating green alternatives. Solar energy has long been inaccessible in NYC. With most of us renting, it's up to the landlord to invest and install solar panels. Luckily we've found the PowerMarket community solar projects. Community solar is like the sharing economy for solar. Instead of buying and installing panels on your roof, you subscribe to a piece of a large local project. Then each month, as solar power is generated by your share of the project, solar credits are placed on your ConEd bill in the form of a deduction. You then pay the solar project for those credits at a discounted rate, saving money while helping to green the grid with more solar energy. Score. 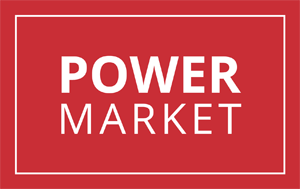 We've partnered up with the PowerMarket to get their latest community project in the South Bronx off the ground. To participate there are no credit checks, exit fees, or upfront costs. Anyone in NYC's 5 boroughs can sign up (renters, homeowners, or small businesses) but there are only 100 spots open on this project. Enter code PROVENANCE when you sign up. Once your registration is complete, they will send you a special code to receive $30 off your next order with us. We are by no means perfect in our efforts. Our commitment is ongoing and we are improving every day. To learn more about our efforts to be a sustainable and mission-driven business, contact our founder at info@provenancemeals.com.